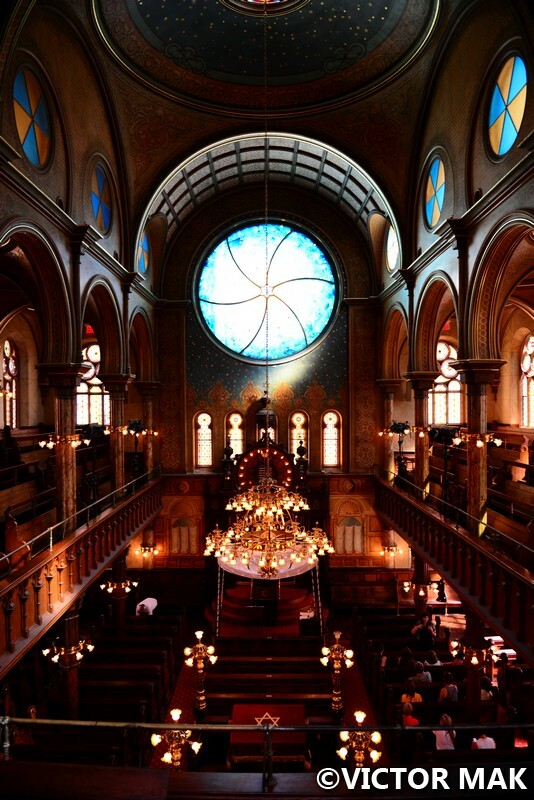 The Eldridge Street Synagogue was built in 1887 and is located on the Lower East Side. 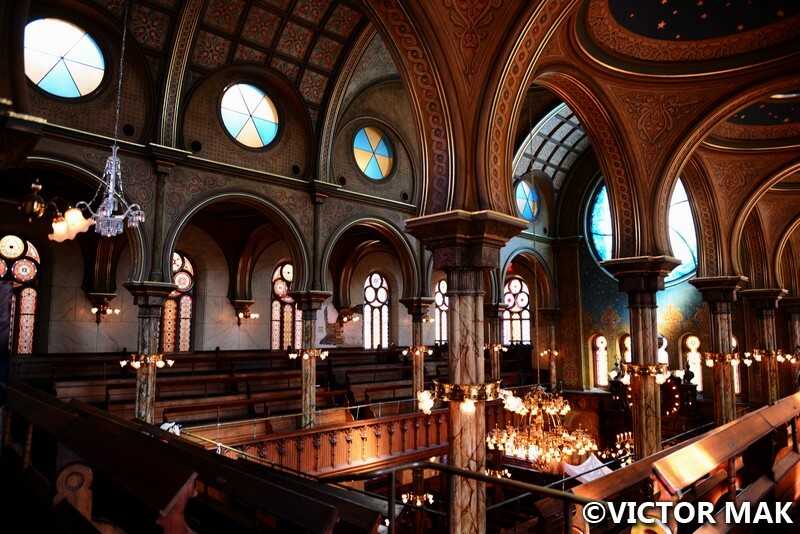 This landmarked beauty was a synagogue from the very beginning unlike others that were converted from churches. The building was designed by architects Francis and Peter Herter in Moorish Revival style. 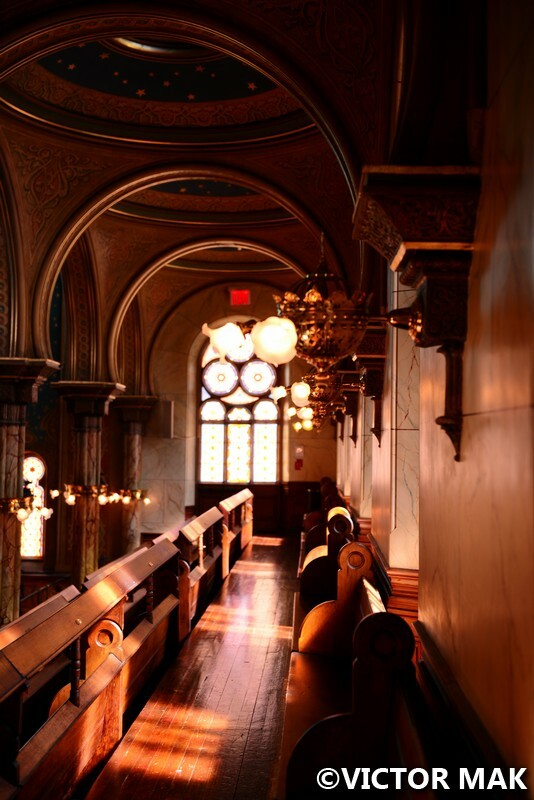 On September 4, 1887, the Eldridge Street synagogue opened. 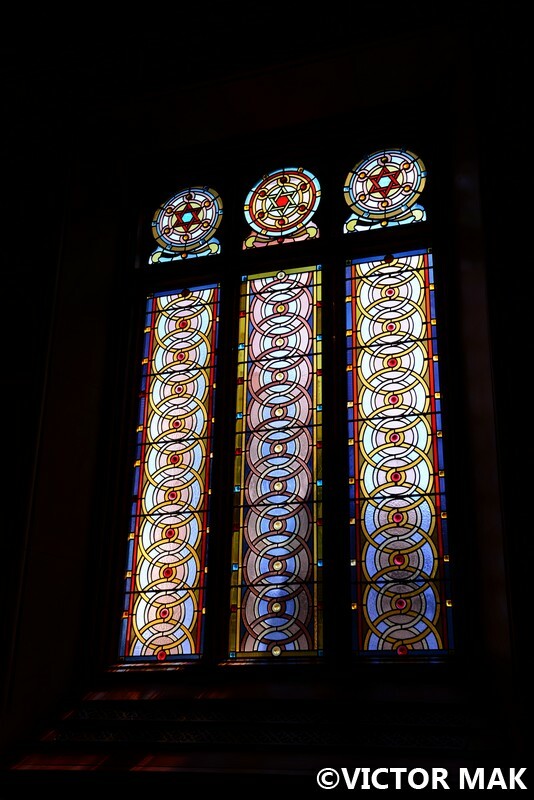 Of all the synagogues we’ve been to, this one is our favorite. 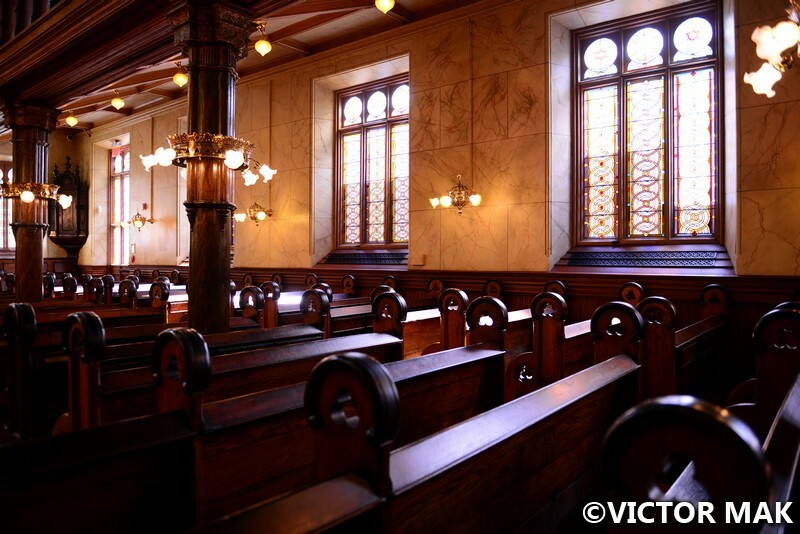 Men and women are segregated in Orthodox synagogues. The men sit on this level and the women sit upstairs. 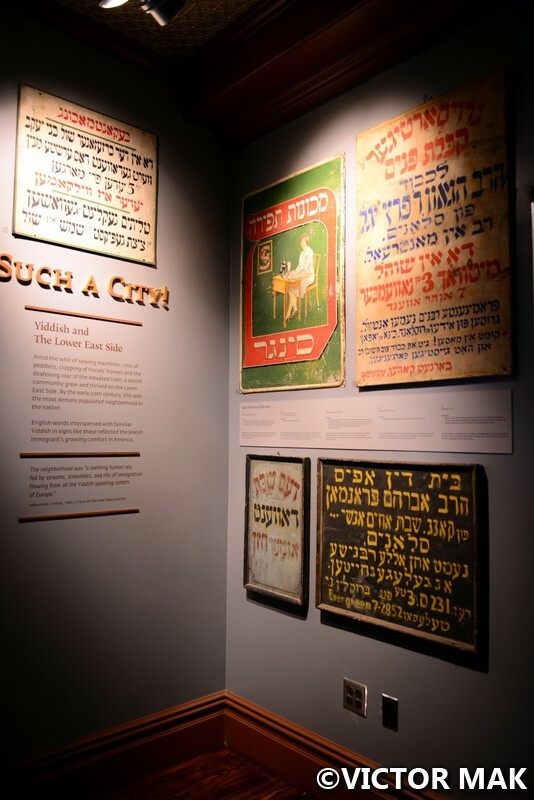 From 1880 to 1924, two and half million Eastern European Jews immigrated to the states. 75% percent of them settled on the Lower East Side. 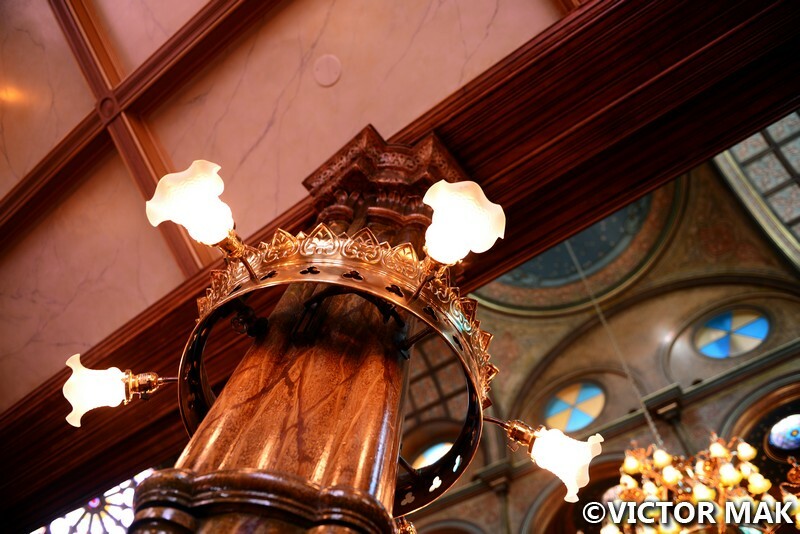 This is the first synagogue that was built from the ground up by Eastern European Jews. 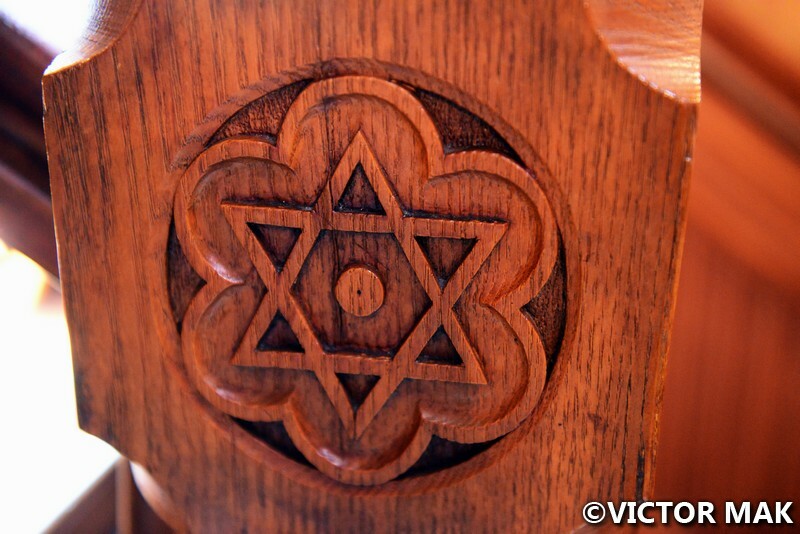 On the outside you can see dozens of Stars of David. They were able to worship openly and freely. From the beginning to the 1920s, thousands came to worship and take part in religious services. During high holidays, police were stationed outside to maintain the crowds. When you walk in, the ceiling soars 50 feet. 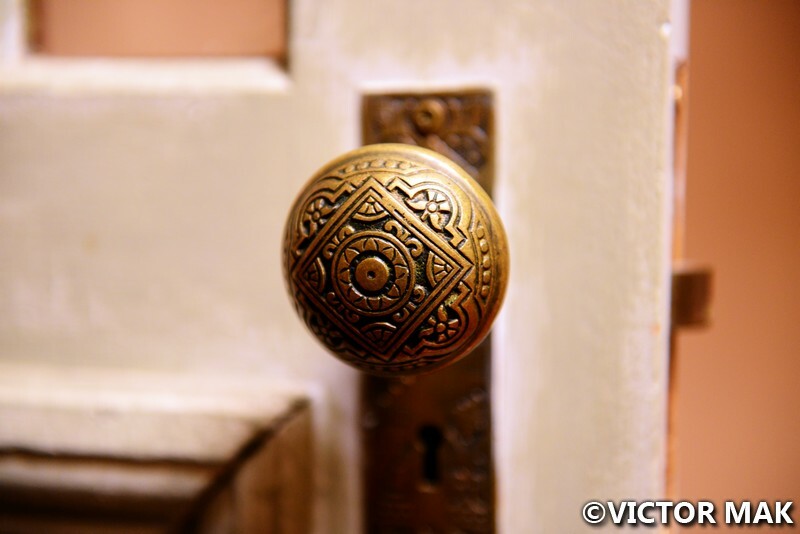 The Moorish interior is very luxurious compared to the factories and tenements that the Lower East Side is known for. As the congregation moved to other areas and immigration quotas limited new immigrant arrivals, membership began to dwindle. When the Great Depression hit (1929-1939), the main sanctuary was used less. After WWII, people left the city for the suburbs. By the 1950s, the main sanctuary stairs weren’t stable, rain leaked in, the area was sectioned off, and pigeons use to roost in the balconies. The synagogue didn’t have enough money to heat and maintain the main sanctuary so they worshiped downstairs in the house of study (Bes Medrash). The upstairs, main sanctuary remained empty from 1955 to 1980. The Orthodox Congregation Kahal Adath Jeshurun continues to hold evening services in the Bes Medrash and uses the main sanctuary for daytime services. They have never missed a holiday or Saturday service since the synagogue first opened. 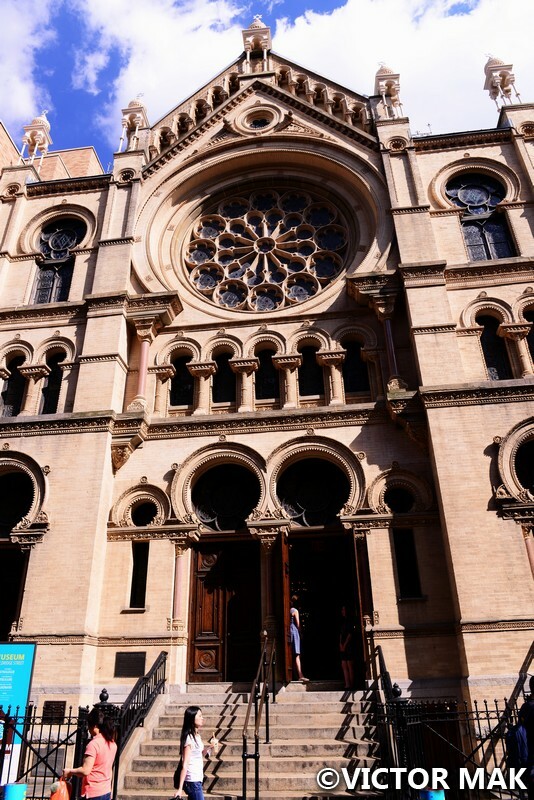 The non profit Eldridge Street Project was founded in 1986 to restore the synagogue and host educational and cultural programs. It cost $20 million and took 20 years to renovate. 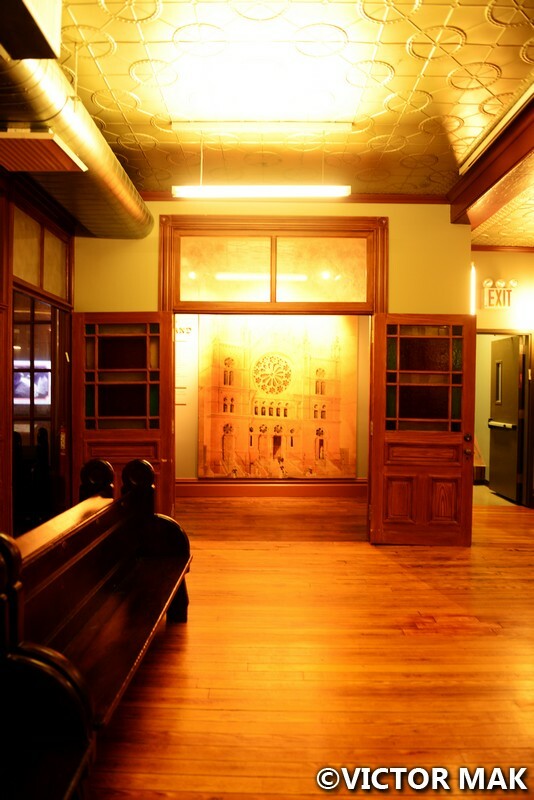 On December 7, 2007, the Museum at Eldridge Street opened within the Eldridge Street Synagogue Building. 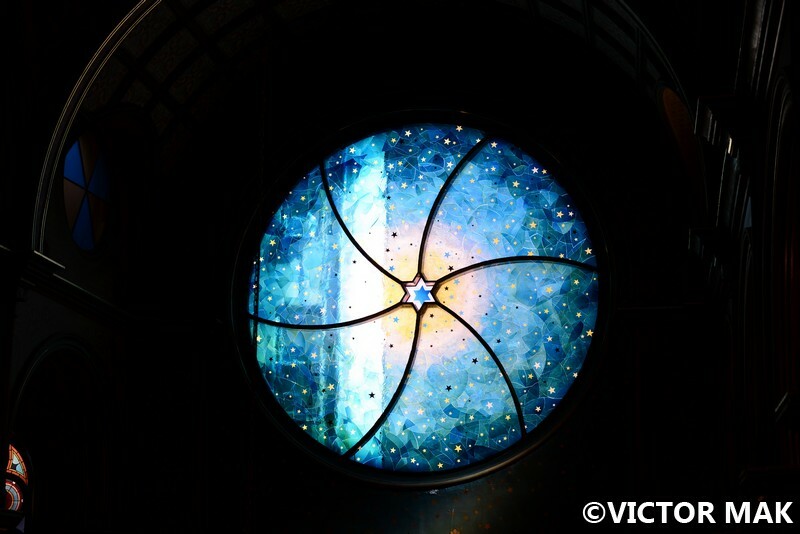 The new stained glass window was designed by artist Kiki Smith and architect Deborah Gans. The museum is open to all and offers tours, concerts, lectures, school programs and cultural events. Evey year they host a block party: Egg Rolls, Egg Creams and Empanadas Festival, celebrating the immigrant communities of the Lower East Side/Chinatown. If you go, you’ll get a mix of klezmer, Chinese folk, samba, cantorial (a person who leads a congregation or choir singing), and mambo. You can buy egg rolls, empanadas and egg creams to snack on. There’s yarmulke making (skullcaps) and arts and crafts. This block party reflects the diversity and richness of the Lower East Side’s history past and present. 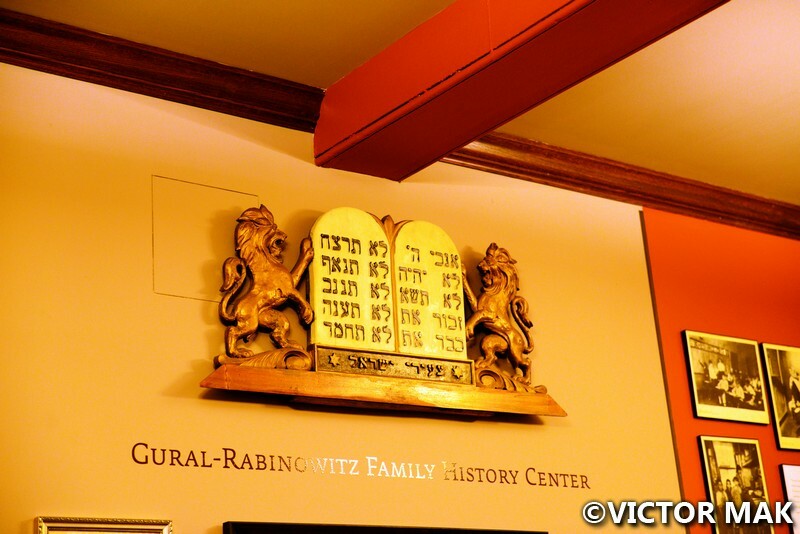 Posted on March 12, 2017 July 9, 2018 by jebusandandrea	This entry was posted in Houses of Worship, Jewish history, Lower East Side, New York, NYC, Synagogues, USA and tagged Chinatown, Downtown Manhattan, History, Jewish history, LES, Lower East Side, New York, New York City, NYC, Photography, Travel. Bookmark the permalink. Beautiful building! 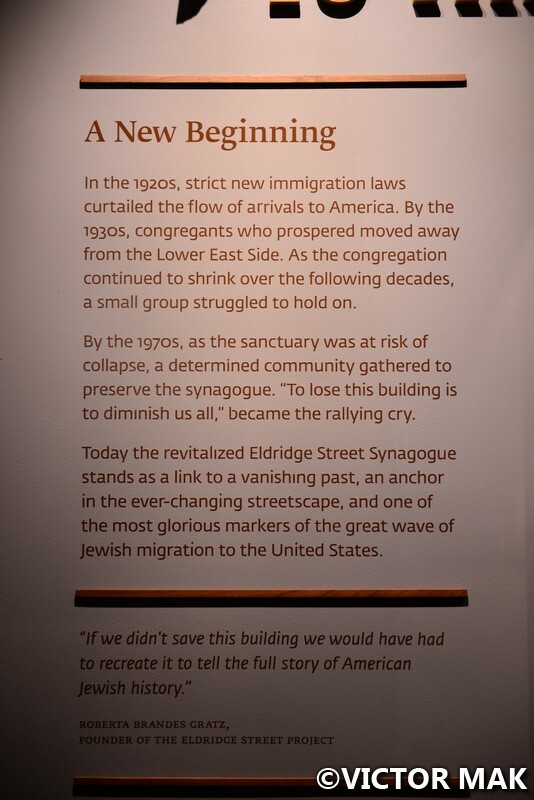 I’m glad the community not only fought to save it, but transformed it into a center for culture and history of both Judaism and the Lower East Side. I’d love to attend the festival someday! I forgot to check the box for notifications…. 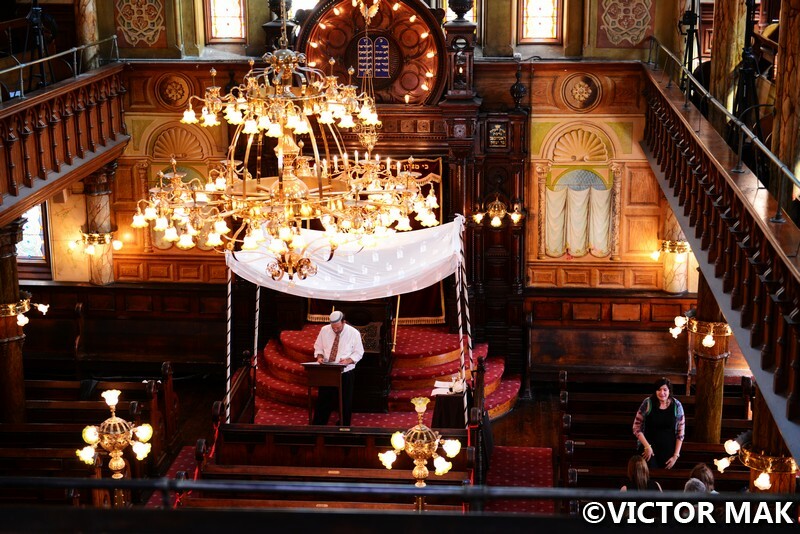 A synagogue that was a synagogue from the very beginning – cool. I know I’ve definitely been in one that was a church before but original original-I can’t remember. It’s looks like a beautiful place by the way! Thank You! We’ve been to a few synagogues. They all have very different feels. The ones in Charleston, SC and Savannah, GA have a chruchy kind of feel. The one in Curacao in the Caribbean was very different, they had sand on their floor and is the oldest surviving synagogue in the New World. Wow, if I ever go to Curacao I’ll have to make a point to visit it!